Happy Thanksgiving! In honor of this holiday full of food, fun, and gratefulness, we're celebrating the amazing fandoms we have in our life. While we show we're grateful for fandoms every day on the blog, we wanted to give some lesser-known fandoms a chance to shine. So without further ado, here are five underrated fandoms we're thankful for. First off, you have Ned. He's just your average Joe. Owner of The Pie Hole bakery by day, private detective by night. Next is his girlfriend, Chuck, who's dead(ish). She is sugar and spice and sass. She and Ned aren't allowed to touch each other because if Ned touches her again, she'll be dead forever. Emerson is also sass. He always seems to be around to expose any romance between Ned and Chuck, which he hates. Olive, the waitress at The Pie Hole, has a huge crush on Ned and isn't afraid to make it obvious. She's also the accidental BFF of Emerson, but it's hard to tell his feelings on that. Chuck's aunts, Vivian and Lily, have no idea that Chuck has been brought back to life. Olive has befriended them, but will she keep Chuck's secret? About two and a half years ago, I happened to stumble across a newly released book series. At the time, only the first two of a four book (sort of five book) series were out. But I was immediately hooked. I wanted to scream to the world how lovely these books were, but I found almost no one else who had read them. (That quickly changed because I started “throwing” them at people to read.) A week ago, I just finished the final book, and I’m still a mess of emotions. It was wonderful, marvelous, a fantastic adventure. I’m so glad I picked these books up. The Lunar Chronicles are a series of fairy tale re-tellings (Cinderella, Little Red Riding Hood, Rapunzel, and Snow White) but set in a futuristic, science-fiction world. Talk about my dream come true. (I’m actually insanely jealous of the lovely Marissa Meyer because I didn’t think of this first!) Cinderella is a cyborg, the Wolf from Little Red Riding Hood is a human-wolf hybrid, Rapunzel lives in a satellite instead of a tower, and Winter… oh, Winter… she’s crazy from not using her abilities. Each book centers around one fairy tale but the plots of the kickass female leads intertwine to give us an epic story. We even get to see the Evil Queen’s perspective on the whole thing with the novella, book 3.5, Fairest. I know Narnia isn't exactly a lesser-known fandom, but I haven't seen it much around. In my childhood, this classic series by C.S. Lewis was my favorite fantasy series--for a while it was the only fantasy series I even had anything to do with. My love for it started with the beautiful audio dramatizations by Focus on the Family. Being swept up into the story in such a stimulating way imprinted a love for these beautiful tales in my mind. Narnia really sparked my love of fantasy in a way that has probably influenced my own writing. I've always loved the underlying themes of the stories and the redemptive message. I was so obsessed with this fandom that I used to have a fansite for it, and I wrote a lot of fanfiction. The latter is still accessible on the internet today if you can find it. (Hint: I wrote under the name LucyofNarnia. Yep.) Every time one of the films came out, I awaited in extreme fangirly excitement. No matter the feelings I had about changes to the original work made in the films, Narnia has always had a secure place in my heart. That place will remain intact. In light of Thanksgiving, I'd like to express my thankfulness for one of my favorite series (and authors). 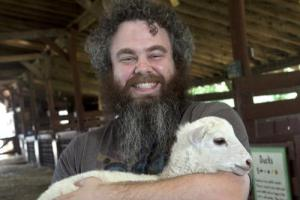 If you haven't heard of Patrick Rothfuss, just look the guy up on Twitter. He's charming and absolutely witty. One of the things he's famous for beyond his writing is being a ridiculously generous human being. Check out his charity called Worldbuilders, if you get the chance; they do some pretty cool stuff. Rothfuss' blog is also just generally funny. For example, his current charity donation thing is currently letting fans vote toward him working on book 3 or playing Fallout 4 (all money goes toward Heifer International). On top of that, he often posts anecdotes about his kids, his lady, and life in general. Some people have a knack for making even the ordinary seem interesting. As for Rothfuss' writing, his series, The Kingkiller Chronicles, is a triumph of modern fantasy. News out of Comic-Con this year is that there will be a movie, television series, and video game coming forth from Lionsgate in the near future. Two out of the three main novels are out so far as well as short stories and a novella. There is still a lot to look forward to, so you have plenty of time to catch up. 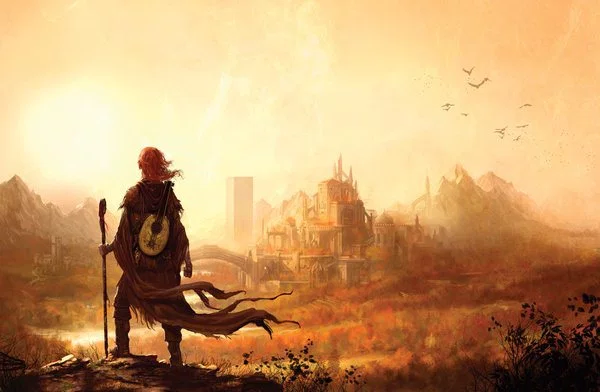 The series follows a man named Kvothe (pronounced like quothe) as he ascends from a childhood spent in a traveling troupe of actors to his life as one of the most powerful mages to ever exist. His determination comes from avenging his family's death at the hands of a band of evil that are so powerful no one dares mention their name. Basically, his whole troupe, the Edema Ruh, get killed when he's twelve years old. Up until that point in his life, he'd just thought the Chandrian were an old story his father sang about. The first novel, The Name of the Wind, absolutely enraptured me. Rothfuss' first person prose captures the tone of Kvothe's legendary tale perfectly. It explores coming of age in a delightfully mature way in a fully realized world. For example, we see the grit of poverty experiences on the fringes of society paired with that of the mummery of the rich. 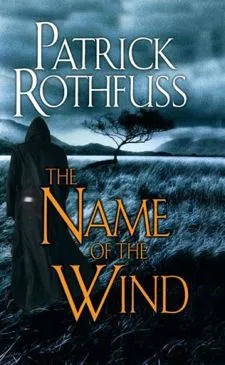 Rothfuss juxtaposes the arts and sciences as Kvothe stretches himself as a student and a musician at pubs to earn money for tuition and the like. I will confess, I normally have a problem with main characters; I am typically a fan of the so called sidekick type. The main character drama is typically too overblown for me. I have no such qualms with Kvothe; his life is a tapestry that is simultaneously completely his yet spinning completely out of control. He is determined to achieve his goals but is quite considerate of those around him who are in need. I fear going into any more detail because of spoilers. In any case, if you're looking for a lovely and unique read, I'd recommend putting The Name of the Wind on your Christmas list. It would probably be a good idea to include The Wise Man's Fear and The Slow Regard of Silent Things on your list as well. Trust me, you won't want to stop. One of my favorite movies ever is Ferris Bueller's Day Off. While I'm a huge fan of much of John Hughes' work (Home Alone and The Breakfast Club are also favorites), Ferris Bueller has a special place in my heart. Made in 1986, this movie is centered around one day in the life of a high school student named Ferris Bueller, who decides to skip school and spend time having an adventure in Chicago. With his girlfriend Sloane and his best friend Cameron, Ferris makes the best of his day off. What follows is a lot of laughter, a lot of fun, and a really good glimpse at a young adult's life. I watched Ferris Bueller's Day Off for the first time a few years ago, and I was just coming out of a really hard period of my life: adolescence. I wasn't sure who I was as a person, and I'd been struggling for a really long time. Ferris Bueller's Day Off helped me feel not so alone. Cameron Frye's struggle to figure out who he really was, as well as stand up for himself, was pivotal to helping me feel understood. Ferris Bueller came into my life when I was in a dark place, and it made that dark place easier to bear. Of course, I'd be remiss if I didn't mention that it's also hilarious, lovable, and ridiculously quotable. From the stock market to the baseball game to the iconic "Twist and Shout" sequence, Ferris Bueller is a humorous masterpiece from start to finish. The characters have so much heart, and I wish I could be a part of Ferris, Sloane, and Cameron's adventures. John Hughes understood what being a teenager was like: the good, bad, and the ugly. It's one of the most accurate portrayals of adolescence I've ever seen. I will forever be grateful for this movie. It honestly changed my life. What underrated fandoms are you thankful for? 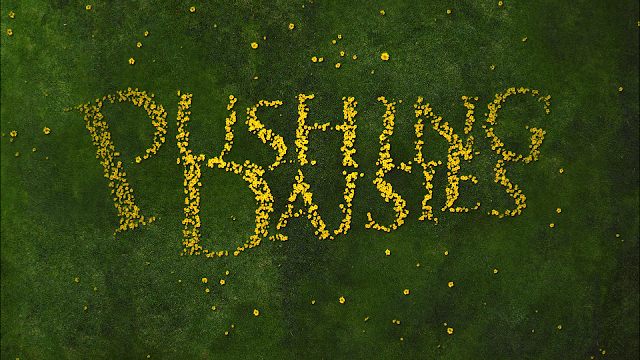 Pushing Daisies is such a fun show. I love the quirkiness of it! I totally need to rewatch this. I was already a teen by the time I first fell in love with Narnia, but it is one of my favorite fantasy series. 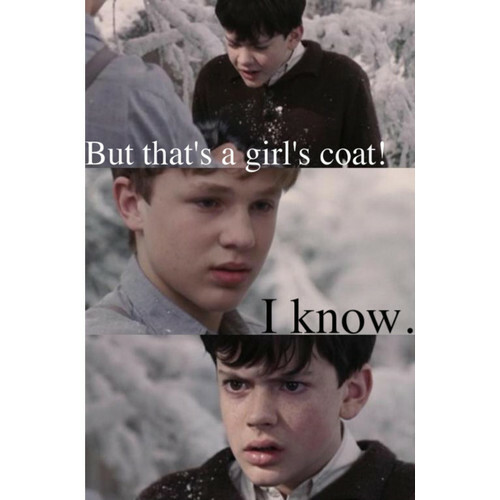 I love how all the story threads fit together over the course of the series and make Narnia feel as real as our own world. As for the Kingkiller Chronicles, I think this I the first I've heard of them but they sound really intriguing! One day, I am going to watch Ferris Bueller's Day Off. I've only seen a few scenes here and there but it is definitely on my list! 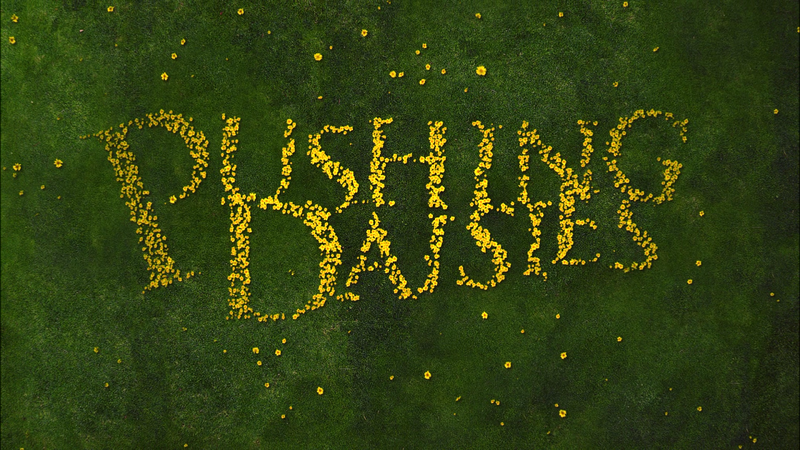 (Oh, you should definitely finish Ferris Bueller's Day Off. Definitely worth it. 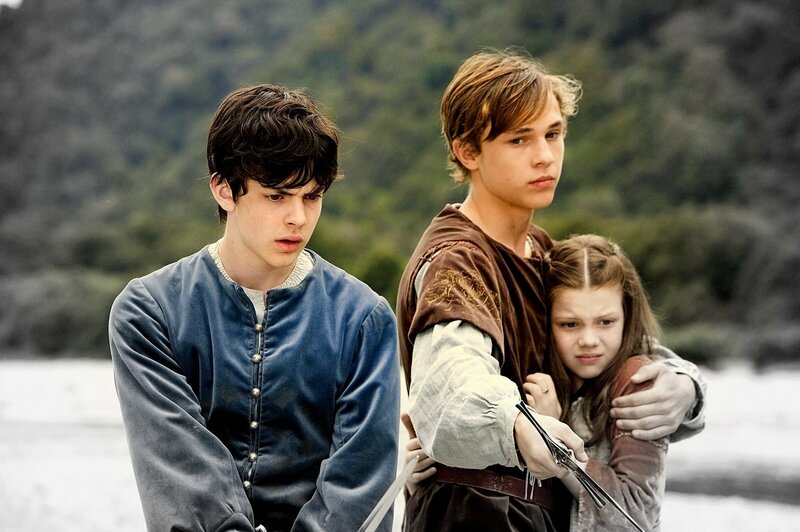 the merlin fandom from the tv show is pretty underrated. SUCH AN AWESOME SHOW!!!!!!!! !